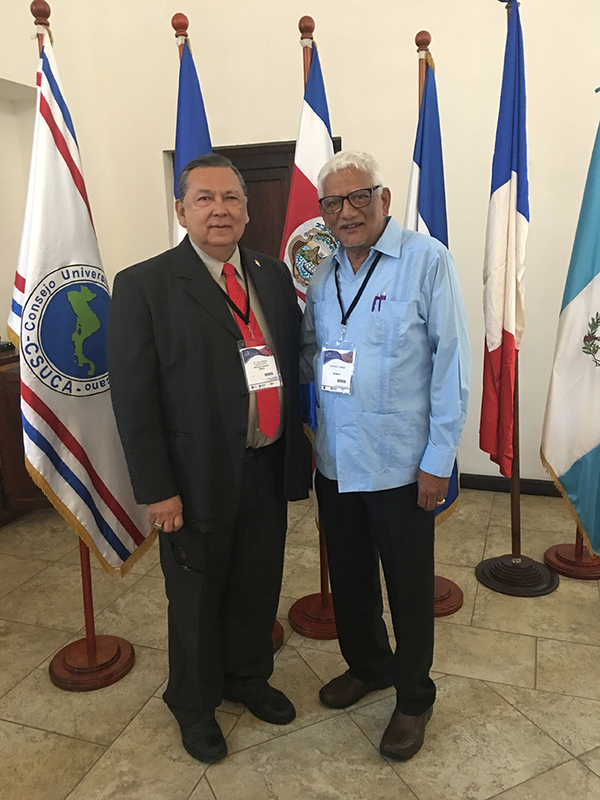 Professor Emeritus Clement Sankat attended the 111th Meeting of Consejo Superior Universitario Centroamericano (CSUCA – Central American Higher Education Council) from March 13 to March 15, 2018 in Antigua, Guatemala. The President attended in his capacity as Vice President of CSUCA. While there, he attended a joint meeting between Presidents/Rectors of Universities from France and Central America. One of the major areas of information sharing and discussion was the engagement of France with institutions in Central America and the possibilities for even wider and deeper collaboration. French Universities and Institutions have partnered with Central American universities especially in Costa Rica, Panama, Nicaragua and Honduras and are developing double degrees at the Master’s and Doctoral levels, training of faculty members of these universities and institutional accreditation of Universities. The standards of accreditation of the High Council for Evaluation of Research and Higher Education (HCERES) of France were shared and discussed at the meeting. The Rector of Tecnologico de Costa Rica (TEC), Julio Calvo Alvarado, spoke on how their University has advanced its institutional accreditation application. Mutual recognition of degrees between France and Central American Universities was also discussed. The meeting also heard on opportunities for France’s support for programs in Engineering for Central American universities at the Bachelor’s level of four years and an additional two years for the Master’s degree. There are opportunities for the University of Belize to engage with French authorities to build capacity, especially human development in Sciences, Engineering, Health and the Humanities. At the CSUCA meeting, a new Secretary General (SG) was elected. Dr. Carlos Alvarado Cerezo, the current Rector of the University of San Carlos was appointed by acclamation, as he has an outstanding record as an academic and an administrator at the tricentennial University. Dr. Alvarado will replace the current SG, Dr. Alfonso Fuentes Soria who served two terms as SG and did so with distinction as through his leadership more Central American Universities joined the CSUCA network for example. He also advanced the cause of CSUCA internationally, especially in Europe. The Secretary General will be recognized at a later date for his outstanding work. A mutual issue identified in Central American Universities was tuition. 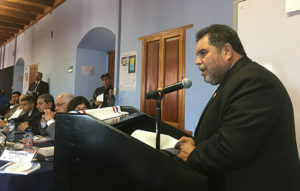 A proposal was made for Central American University students to pay the same tuition as nationals pay in their Universities. This approach will facilitate mobility among Central American students. Each University has been asked to consider this matter. The President is grateful to CSUCA officials and Rectors for the warm reception he received. Professor Sankat will be assuming the Presidency of CSUCA in July for the 2018-2019 academic year. ← UB Black Jaguars Paddle to First Place!